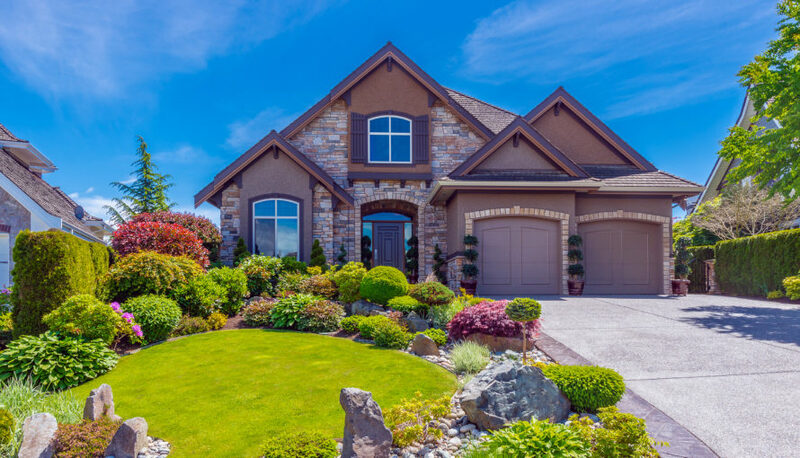 State-of-the-Art Digital Landscape Designs offered by the design professionals at MGM allow you to create and see how your landscape project will look even before it’s done and even before you sign an agreement for installation. This exciting and emerging technology is far superior to the ‘typical’ digital landscape designs being seen around the marketplace today. Stunning and visually superior designs and life-like renderings help ensure your project turns out the way it is supposed to – the first time. Take some time to review some actual Digital Landscape Design images right below here. The process of digital imagery happens when we meet with you, the client at your commercial or residential property with a high-quality digital camera. We take a series of selective pictures of the property from various angles. We then take the images and import them into our special software for rendering into the final digital image(s). These finished digital renderings will be available for your review, normally, within five to seven business days from the time we take them. At the next appointment, we will bring the finished images to your property for your viewing, approval and authorization – any modifications that you may want can be made right there on the spot unless a significant amount of rework is needed – at which time we will return to our office, modify the drawings and return to your property for another viewing of the images. We submit the completed and approved images to you once a final approval of the images is received. Involving you, the client, in the imagery and design process allows for you to have unprecedented control and input in regards to the final look of your project – giving you ‘true ownership’ over the project, while involving you in the design process from a designer’s perspective.